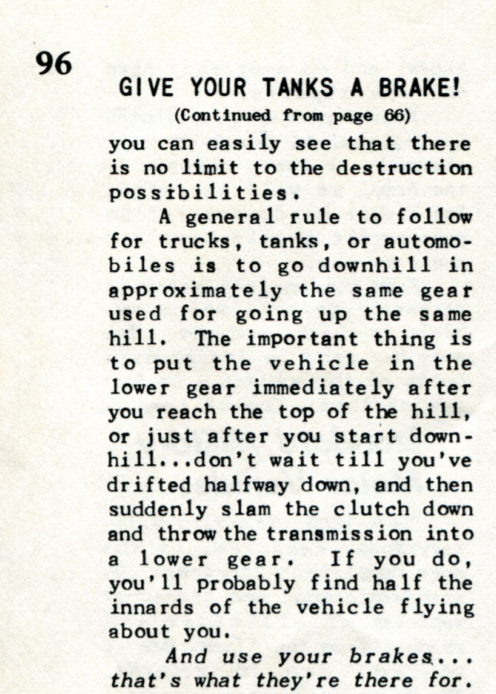 This week we got the post about Drivetanks.com out, and Subjegated Shermans also got a signifigant upate as well. I have several other posts in the works, unfortunately all are about 80% done! That’s what I get for jumping around I suppose. Anyway, Hedgerow and Forest fighting are in the works, also in the works is a post on Mountain tanking with the Sherman. I’ll be doing a post on the various SPGs based on the venerable Sherman hull soon as well too. Also coming soon, stories from actual tankers, or one in this case. In other news, the website he talked about in the links section, The Lone Sentry, seems to have gone down for good. It was a fantastic resource on the US Army in WWII, and had tons of information and hard to find technical and field manuals hosted there. If anyone has the Web Masters Contact info, or knows anything about the site going down, please contact me. Drivetanks.com: the most Magical place on Earth if you like Tanks, Guns, Machine Guns, or even Artillery Pieces! Drivetanks.com is an operation out of Uvalde Texas. Uvalde is about 120 miles west of San Antonio. The Drivetanks.com facility is on the famous Ox Hunting Ranch, an 18,000-acre hunting ranch, with its guest cabins, a huge lodge, and its own 5800-foot runway. If you could see warbirds at this ranch it would literally be heaven on earth! 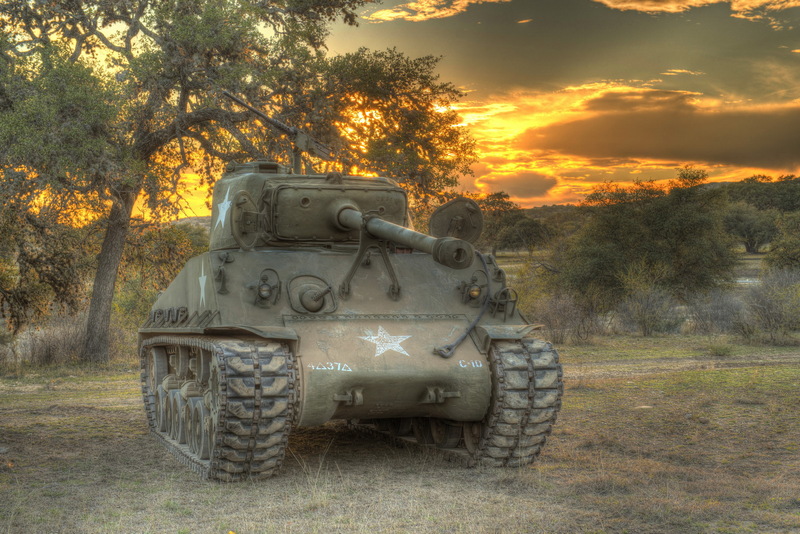 Drivetanks.com doesn’t have just a Sherman tank, but from our perspective, their Sherman is the coolest tank of the lot! The Sherman is the star of the show for us! It is fully functional, with working power traverse and a working main gun. All the machine guns work, and you get to shoot them as part of one of their packages. You also get to drive the tank around and fire it’s main gun if you go with the big package. The M4A2E8 saw action with the Russians at the end of the war, and its M4A3E8 counterpart saw all kinds of action in Northern Europe and Italy. These tanks had the improved HVSS suspension with a wider track, giving them very good off-road mobility and the improved turret and gun gave the tank the edge over earlier German tanks like the Panzer III and IV while giving it a better chance against the rarer tiger and Panther tanks. 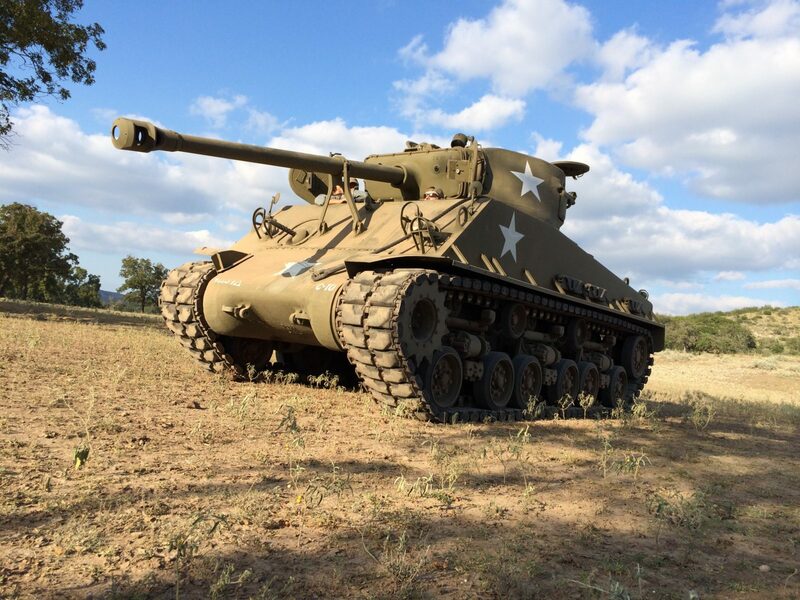 I have to say, Drivetanks.com is an amazing place for letting people drive and operate the armament of this working piece of history. Nothing beats seeing an actual historic vehicle drive or fly by, a static display in a museum where you can’t touch, or in some cases even take photos is just not the same. 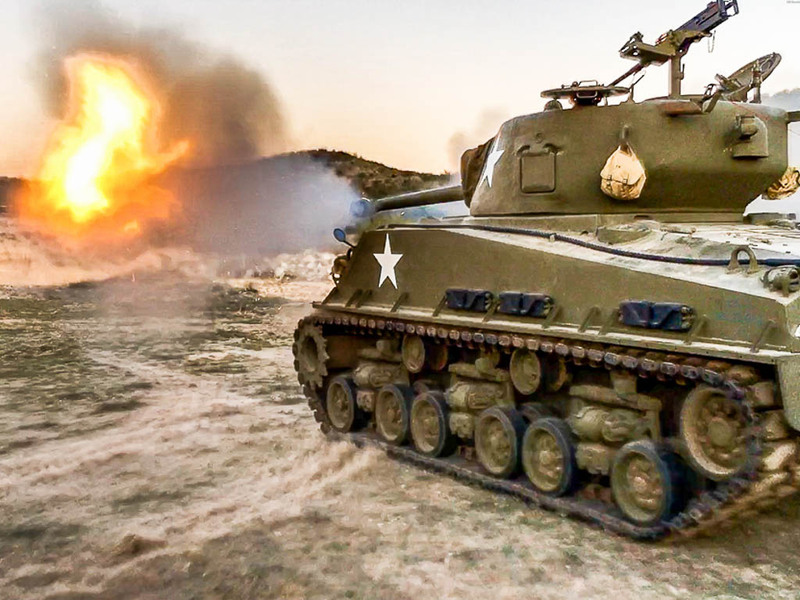 Another shot of Drivetank.com’s M4A2E8 Sherman, this time just after it fired its main gun! Texas Rocks! 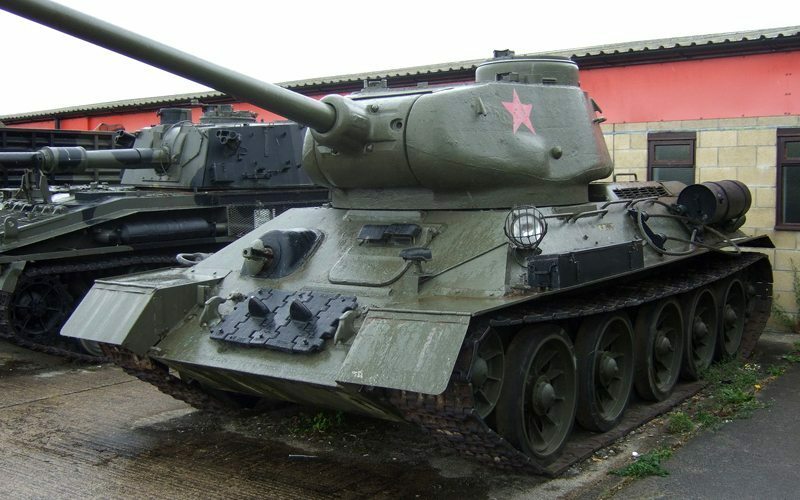 T-34-85: This Soviet tank was the Late War Shermans Russian counterpart! 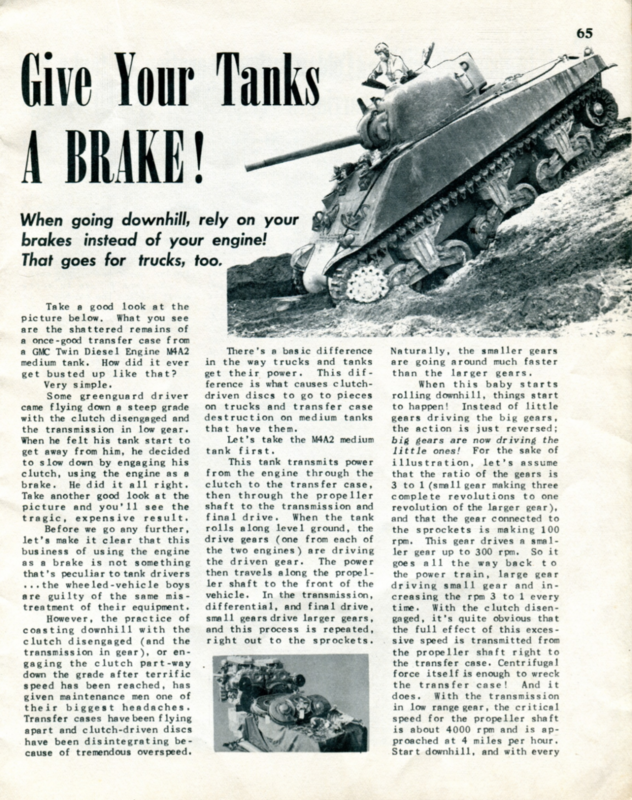 Drivetanks.com has a fully functional T-34-85 tank and it was produced just in time to see action on the eastern front. It has a working main gun and there are similar, slightly to the Sherman but slightly cheaper packages for this tank. That’s the last of the WWII tanks but they have two more modern ones. 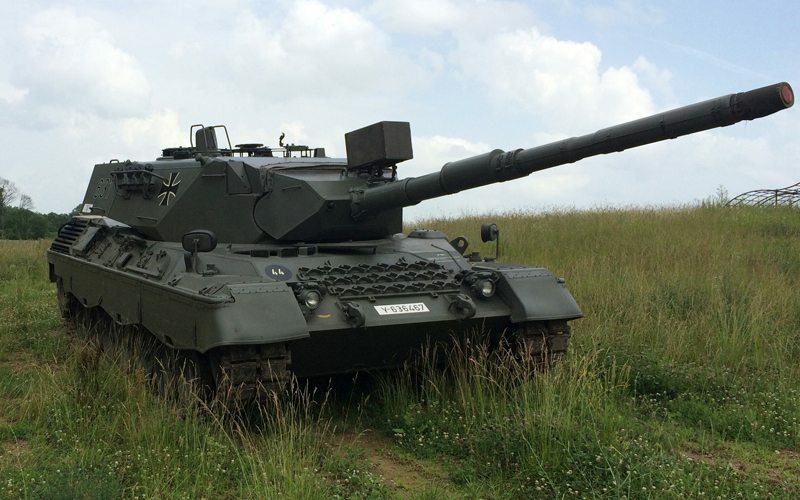 Leopard 1A4 MBT: An updated version of Germany’s first Post War Tank! This tank is bigger and faster than either the T-34 or Sherman, and its gun doesn’t work, and the prices on its packages reflect this. This tank is probably easier, and more fun to drive than either WWII tank, but just not as cool. This tank is still in use by armies around the world. Chieftain Mk. 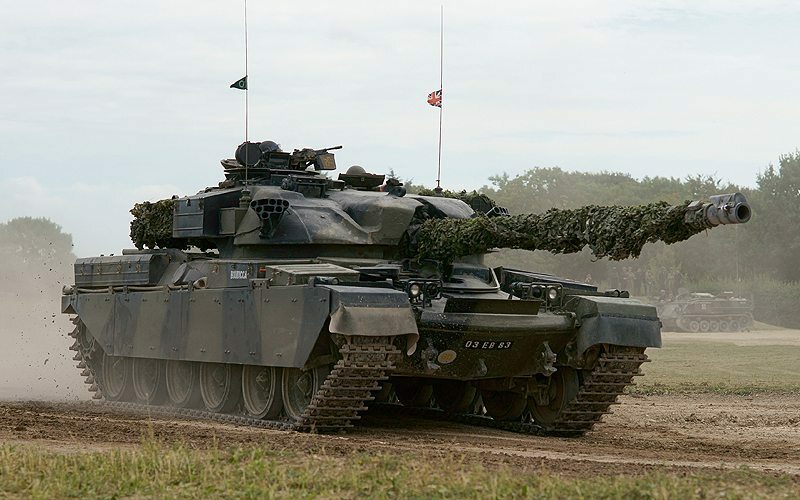 6, MBT: Big and British, and their Car Crusher. Another tank with no working gun, this bad boy is big and tough, and therefore they use it when someone wants to crush something. This tank went into action in the mid-60s and was still going strong into the early 80s when the Challenger replaced it. German SD. KFZ. 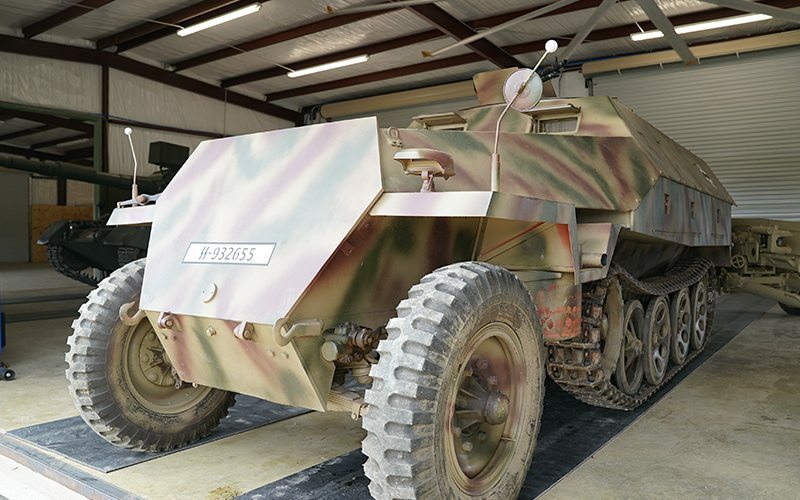 251 Armored Half-track: The Angular German Halftrack you see in Movies! If you want to drive something with tracks on a budget, this is a good place to start. 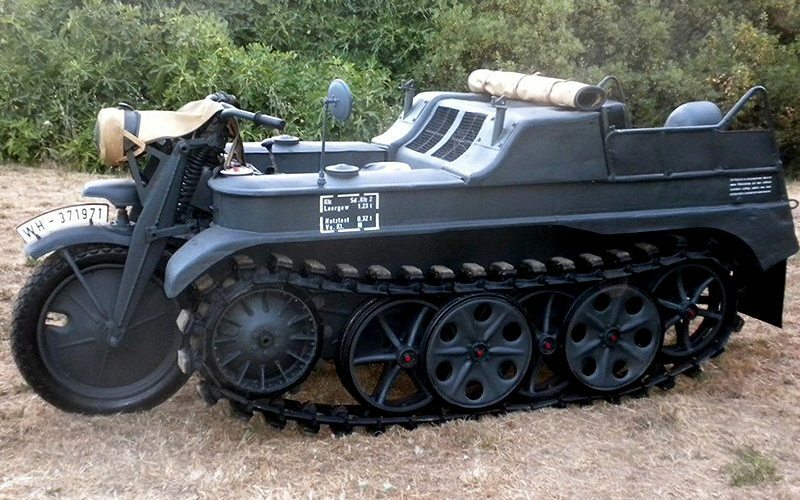 Kettenkrad SDFZ Tracked Motorcycle: Yeah that wonky motorcycle half-track you see towing planes in WWII Pics. Just look at this pic! Who wouldn’t want to try out this crazy German contraption! They also have some other tank-like tracked vehicles that are not tanks. Abbot FV433: This SPG is made up to look like the US M109 155mm SPG still in service. This is a self-propelled artillery piece, a British one, and has a propane gun that makes lots of noise but doesn’t shoot a projectile. Another option if you don’t want to go with one of the deluxe packages. 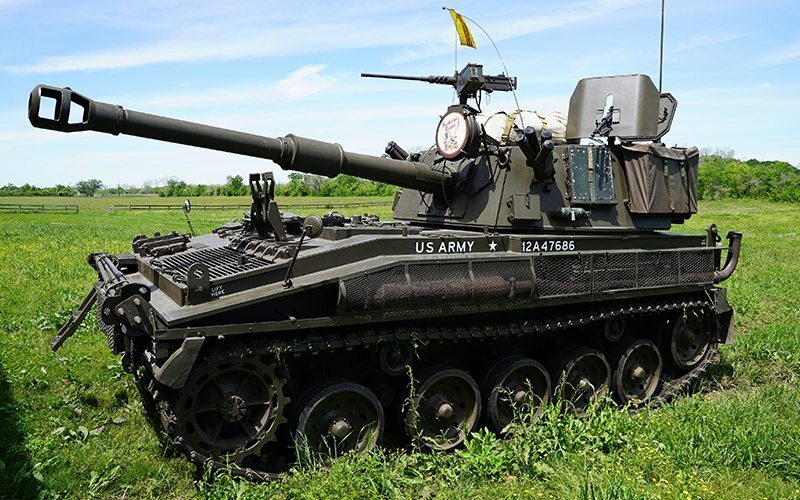 The M109 the Abbot was modified to look like started its life in the 60s and saw use in Vietnam, and modern versions are still in use by the US Army. This APC with attitude was meant to do more than just deliver troops like a regular boring APC like the M113. 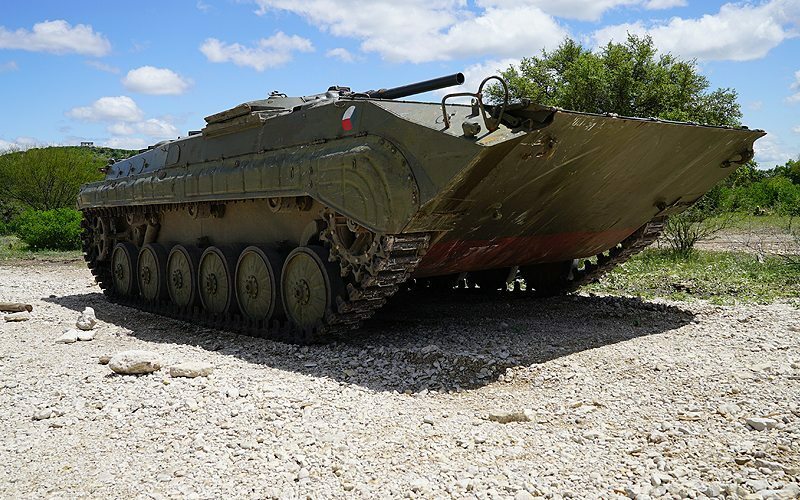 No, the BMP delivered fewer, in less comfort, but it brought some heavy firepower normal infantry didn’t have. With this bad boy, you can pack a bunch of friends into the back for a very hot uncomfortable ride while you drive! I wonder if Drivetanks.com has an award if you can make all the passengers puke! But that’s not all! 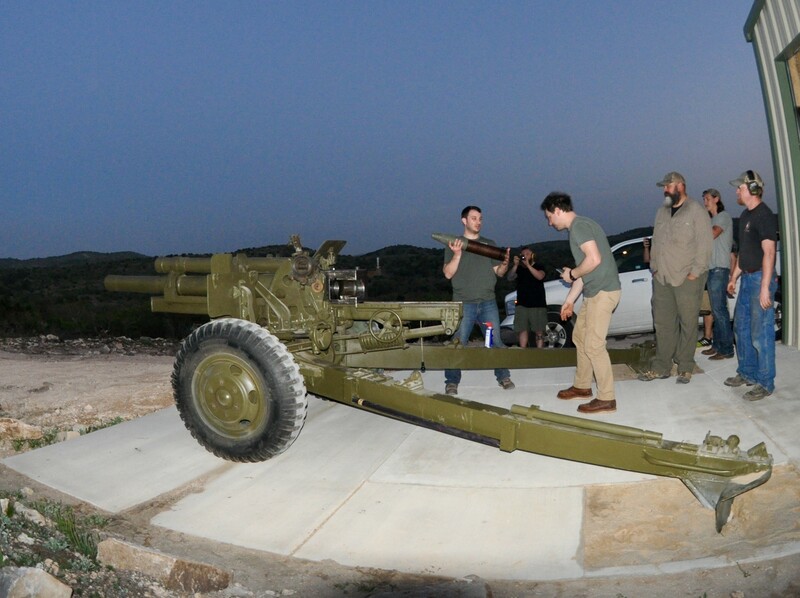 They have Towed Guns, Mortars, and Machine guns! Germann 75mm PAK 40 AT Gun: This puppy works too! This fully functional German AT gun is available to shoot. not cheap, but less than shooting a tank’s gun. This gun accounted for an awful lot of Sherman tanks during the war, but the Sherman, in turn, killed a bunch of them. I’m pretty sure this gun has been on several TV shows, but I’m not 100% sure. German 25mm PAK 113: Small bang, small bucks, but it’s still a BIG gun! A little AT gun for a cheaper alternative to the bigger stuff. not much to be said, if your coming to Drivetanks.com your coming for the big boom boom, right?! This gun saw lots of action and was a great gun for its size. For a modest price, you can pop a round off from this gun too! If you want to know what it was like to serve in a light artillery battery, or just want to pop a few rounds off for nostalgia, you can do it here, and that’s damn cool! The Hippies in California would freak out if we tried shooting off something this cool here!! US M1 81mm Mortar: The main WWII US Mortar! I do not know of another place you can fire off a mortar, and that makes this option awesome all on its own. The 81mm M1 Mortar was used everywhere the US fought during the war and who would pass up the change to log a hunk of history from it? This is like it’s bigger brother, just with less explosive charge, less range, and less weight. Oh, and it’s cheaper to shoot off. The cheapest mortar option. Small, but still a mortar! Now let’s talk about Machine Guns and other firearms. Machine guns are pretty damn cool. Having been around a long time, there are lots of different kinds of Machine guns, and Drivetanks.com has a plethra of them! The prize of the Machine collection has to be the M134 GE Minigun. I do not recall ever reading why they called this beast a minigun because it’s a monster of a weapon, bigger and heavier than an M2 Machine gun. These guns are technological Marvels, and contrary to Hollywood use, not man portable in any way. These guns have a selectable rate of fire of 3000 or 6000 rounds a minute. Your average GPMG has a 650 RPM rate of fire. These guns use an electric motor to spin the barrels and drive the feed mechanism, in theory making them more reliable at higher RPM they run, the six barrels allowed the barrels a chance to cool, but sustained fire would melt them down. These weapons have seen a lot of combat over the years, usually mounted on a helicopter of some type, but also on other vehicles that can haul the required ammo and have a compatible electrical system. Next up on the Bad boys of the Machine list they have would be the M2HB Browning .50 caliber Machine gun. This heavy machine gun has been in service with the US Military since 1933 and is covered in more detail in this post. You get to shoot this gun as a part of the Sherman tank packages. They have a lot of other more mundane machine guns but come on, a machine gun is damn cool no matter the size or type. So let’s list them! The Browning M2 HB .50 Browning. MG-42 German WWII machine gun 1200 to 1500 rounds per minute of fun! They also have a selection of Rifles, sniper rifles and assault rifles and a flamethrower. 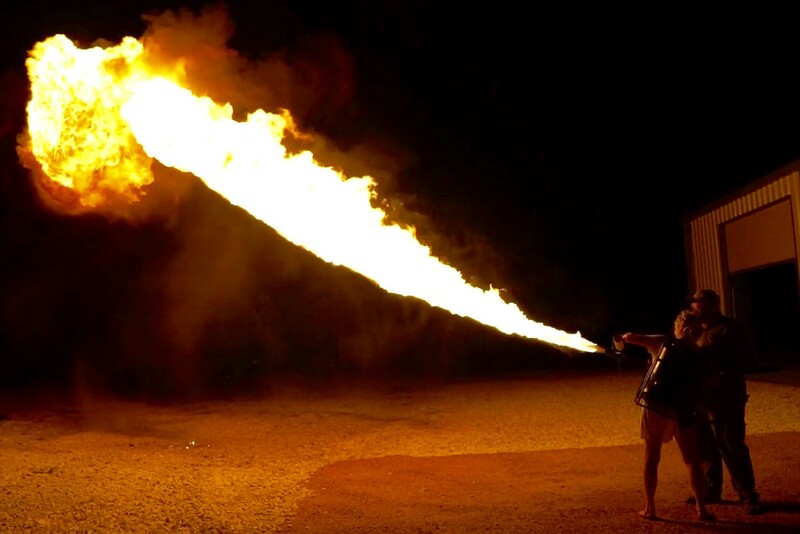 Yeah, a flamethrower! How cool is that?! So tanks, APCs, SPG, Artillery pieces, AT guns, Mortars, and Machine Guns! If you’re not some kind of wimp, this place really is the most wonderful place on earth. I would rather go here, at any cost versus a trip to any Disney park, Cruise, or show. This place offers a chance to touch, use, and shoot history, hard real history. Honestly though, if this place had no historic value at all, it would still be damn good time, and something really you can only get in good old US of A, specifically in the great state of Texas! This is all run an own by private US Citizens, and some people might think civilians running around owning tanks with working guns and tons of machine guns, and letting anyone willing to pay a chance to use them is a bad idea, well, you’re wrong, and this is exactly the type of thing that makes the United States so great! There is a process you have to go through to be allowed to own these items, but it’s not all that hard as long as you’re not a criminal and are willing to fork over the cash to the US Government, and your state and county are ok with it. All shooting and vehicle use is only done after people are thoroughly instructed on everything use, (the class time is all part of the fun! ), and while the guest is using the tank or Machine gun, an instructor is standing right there making sure everything is safe. I can think of no place I would rather go for a vacation, if I could dig up the cash, and get the wife’s approval, than Drivetanks.com and the amazing Ox Ranch! 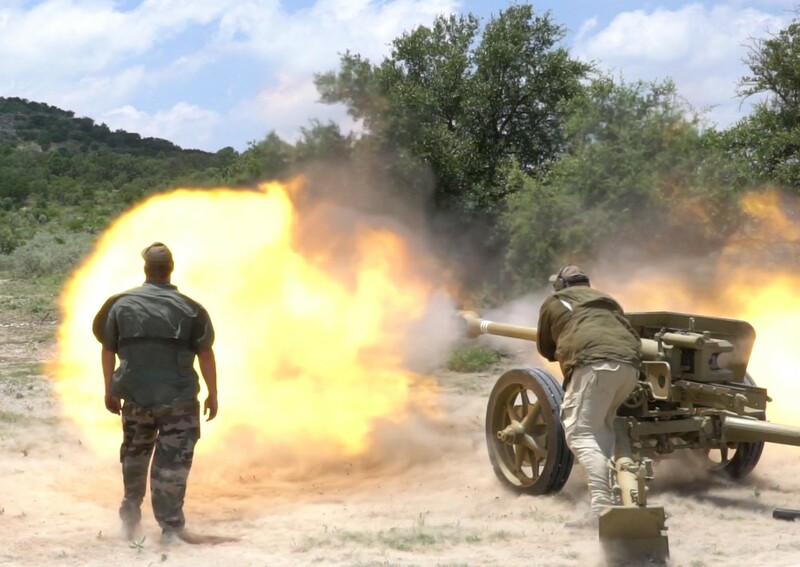 If you are interested in booking a trip to drive their tanks, shoot their machine guns, or hunt big game on the greater ranch, you can contact them with the information below.